A car filled with bales of marijuana is seen at a police station in La Grulla, Texas, in 2013. A lot of drugs pass through the Border Patrol inspection station in Brooks County, where La Grulla is located; it, too, is refusing to take checkpoint cases. Federal agents at the Sierra Blanca Border Patrol checkpoint in West Texas used to make 20 to 30 busts per day for marijuana possession. After federal grants used to help pay for housing offenders arrested on drug charges dried up, Sheriff Arvin West of Hudspeth County, Texas, stopped taking any more cases from the checkpoint. He says they occupied two full-time deputies and one-fourth of the space in the county jail. A federal inspection station on Interstate 10 in the West Texas desert earned the nickname "checkpoint of the stars" for all the entertainers who kept getting busted there. In the past six years, Willie Nelson, Snoop Dogg, Nelly and Fiona Apple were all arrested for possession of marijuana. These days, though, after a decision by a local lawman, everyone from personal pot smokers to medium-size marijuana traffickers can avoid jail. 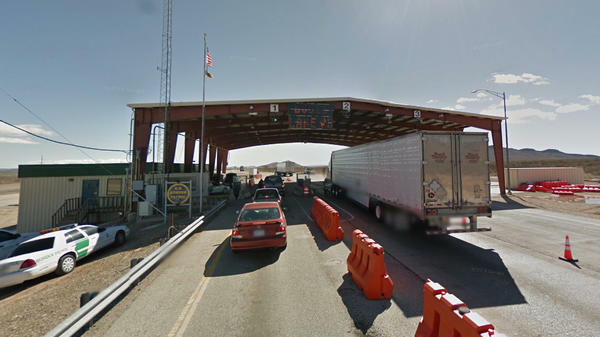 The Sierra Blanca Border Patrol checkpoint was once the bane of pot smokers driving from Los Angeles to Texas. Green-suited federal agents and their uncanny drug dogs would make 20 to 30 busts a day. "I had two little buds (of marijuana) wrapped up in my Dopp kit in my suitcase in the trunk of the car," recalls Austin writer and filmmaker Al Reinert, who was busted at the checkpoint two years ago. "The Border Patrol guys never would have found it if the dogs hadn't sniffed it out." Here's how it used to work: The Border Patrol would hold the suspect and the stash, the sheriff in the sleepy town of Sierra Blanca would send a deputy out to pick them up, then they'd be booked into the jail in Hudspeth County — an area larger than Connecticut filled with greasewood, cactus, humpbacked mountains and only 5,000 people. Most of the cannabis holders were issued a citation, released and told to pay a $400 fine later — though many never paid up. But for the past year, Hudspeth County Sheriff Arvin West has refused to take any more "checkpoint cases," even those involving commercial quantities of marijuana worth thousands of dollars. "I don't have a problem whatsoever going out there and arresting them," West says. "I just have a problem making my local taxpayers foot the bill for America's problem. I'm not gonna do the federal government's job." West is a stout, swaggering lawman who has a sign over his office door that reads "Boss Hog." The checkpoint dispute is not about justice, it's about money. The sheriff says there were so many checkpoint cases they occupied two of his full-time deputies and a fourth of the space in his county jail. This was OK as long as he was getting federal criminal justice grants, but those have dried up. "When I occupy one of those beds it takes away from a paying customer back there," the sheriff says. His jail is a moneymaker. Like a lot of poor Texas counties, Hudspeth built an oversize jail so it can rent out excess space to other counties at $45 a night per prisoner. The fact that West won't accept any checkpoint cases because he wants somebody to pay him for his prisoners rubs some people the wrong way. "What I wonder is why is it possible to arrest Willie Nelson and not anybody else?" asks Jaime Esparza, district attorney for El Paso and two neighboring counties. "Making sure your community is safe and prosecuting crime is not a profit-making business. It never has been." West blames federal authorities for not prosecuting the marijuana cases themselves. But the U.S. Department of Justice is less and less interested in low-level possession cases. West says the Drug Enforcement Administration only gets involved when the amount is more than 40 to 50 pounds of marijuana. Will Glaspy, special agent in charge of the El Paso DEA, says if he decides to take a case, they have to send agents 85 miles to Sierra Blanca to pick up the suspects and the dope. "When we're trying to be smarter with federal resources, both from a law enforcement standpoint and a judicial standpoint, many of these cases just don't belong in federal court," Glaspy says. For instance, when a person is busted for 35 pounds of marijuana in downtown Sierra Blanca — such as it is — he faces a second-degree felony and prison time. But if that person gets caught with the same size load at the federal checkpoint, he walks — unless there are aggravating circumstances, such as a weapon involved. The Border Patrol does not release numbers on individuals who have their narcotics confiscated and are not arrested. Hudspeth County is not alone. 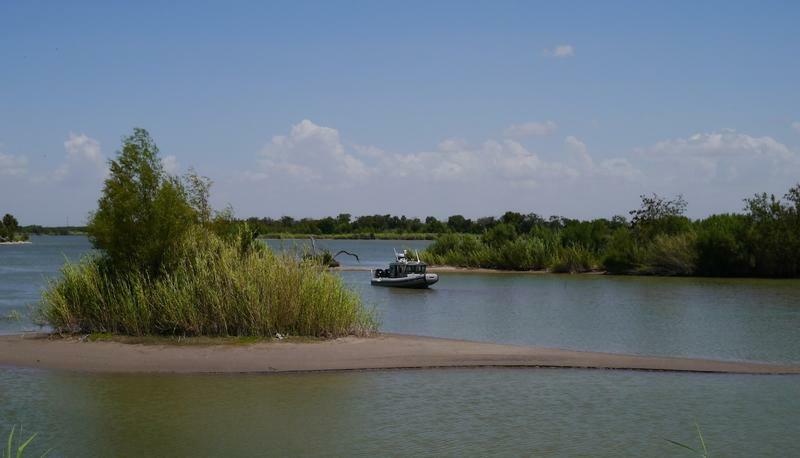 There's a Border Patrol inspection station in Brooks County, Texas, that catches lots of narcotics coming out of the Rio Grande Valley. Brooks has such a tiny budget that it, too, refuses checkpoint cases. Chris Cabrera, a Border Patrol union representative in the Rio Grande Valley, says traffickers caught with dozens of pounds of pot are routinely released, and they learn to exploit this loophole. "That's a shame when drug smugglers can walk free," Cabrera says. "Granted, they lose their load, but they're able to make it up the next day or the day after and find a different route. They adapt to our inability to do our job." Back at the Hudspeth County Jail, it's not as exciting now that the tour buses are gone and there are no more famous mugshots. "Why did Willie and Fiona have to pay their fines and go through the court system and these other people not?" West says. "The federal government is playing with people's lives with selective prosecution." The sheriff's critics say he is doing the same thing. There is a federal inspection station on Interstate 10 near the Mexican border in West Texas that has earned itself the nickname, checkpoint of the stars because of all the entertainers who've been busted there. In the past six years, Willie Nelson, Snoop Dogg, Nelly and Fiona Apple have all been arrested for marijuana possession. As NPR's John Burnett reports, local law enforcement is now balking at the cost of handling all these busts. JOHN BURNETT, BYLINE: The Sierra Blanca Border Patrol checkpoint was the bane of pot smokers driving from Los Angeles to Texas. Green-suited federal agents and their uncanny drug dogs would make 20 to 30 busts a day. Two years ago, Austin writer and filmmaker Al Reinert was on that highway. AL REINERT: I had two little buds wrapped up in my Dopp kit in my suitcase in the trunk of the car. I mean, the Border Patrol guys never would have found it if the dogs hadn't sniffed it out. BURNETT: Here's how it used to work. The Border Patrol would hold the suspect and the stash. 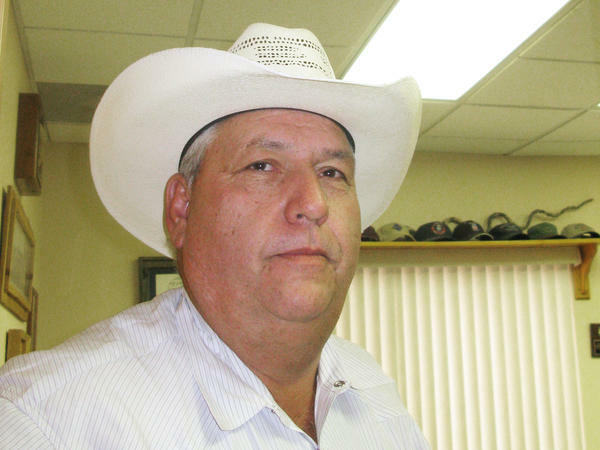 The sheriff in the sleepy town of Sierra Blanca would send a deputy out to pick them up. Then, they'd be booked into the county jail. Most of the cannabis holders were issued a citation, released and told to pay a $400 fine later, though many never paid up. But for the past year, Hudspeth County Sheriff Arvin West has refused to take any more checkpoint cases, even those involving commercial quantities of marijuana worth thousands of dollars. ARVIN WEST: I don't have a problem whatsoever of going out there and arresting them. I just have a problem making my local taxpayers foot the bill for America's problem. I'm not going to do the federal government's job. BURNETT: West is a stout, swaggering lawman who has a sign over his office door that reads, Boss Hog. He's the warlord out here in Hudspeth County, an area larger than Connecticut, filled with greasewood, cactus, humpbacked mountains and only 5,000 people. The checkpoint dispute is not about justice. It's about money. The sheriff says there were so many checkpoint cases, they occupied two of his full-time deputies and a fourth of his jail space, which was OK as long as he was getting federal criminal justice grants. But those have dried up. WEST: When I occupy one of those beds, it takes away from a paying customer back there. BURNETT: His jail is a moneymaker. Like a lot of poor Texas counties, Hudspeth built an oversized jail so it can rent out excess space to other counties at $45 a night per prisoner. The fact that West won't accept any checkpoint cases because he wants somebody to pay him for his prisoners rubs some people the wrong way. JAIME ESPARZA: What I wonder is why is it possible to arrest Willie Nelson and not anybody else? BURNETT: Jaime Esparza is the district attorney for El Paso and two neighboring counties. ESPARZA: Making sure your community is safe and prosecuting crime is not a profit-making business. It never has been. BURNETT: Sheriff West blames the feds for not prosecuting the marijuana cases themselves. But the Department of Justice is less and less interested in low-level possession cases. West says the DEA only gets involved when the amount is more than 40 or 50 pounds of marijuana. Will Glaspy, special agent in charge of the El Paso DEA, says if he decides to take a case, they have to send agents 85 miles to Sierra Blanca to pick up the suspects and the dope. WILL GLASPY: When we're trying to be smarter with federal resources, both from a law-enforcement standpoint and a judicial standpoint, many of these cases just don't belong in federal court. BURNETT: What this does is create a crazy disparity in prosecution. When a person is busted for 35 pounds of marijuana, say in downtown Sierra Blanca, such as it is, he faces a second-degree felony and prison time. But when a person gets caught with the same size load at this federal checkpoint, he walks unless there are aggravating circumstances, such as a weapon involved. The Border Patrol does not release numbers on individuals who have their narcotics confiscated and are not arrested. Hudspeth County is not alone. There's a Border Patrol inspection station in Brooks County, Texas that catches lots of narcotics coming out of the Rio Grande Valley. Brooks has such a tiny budget that it too refuses checkpoint cases. 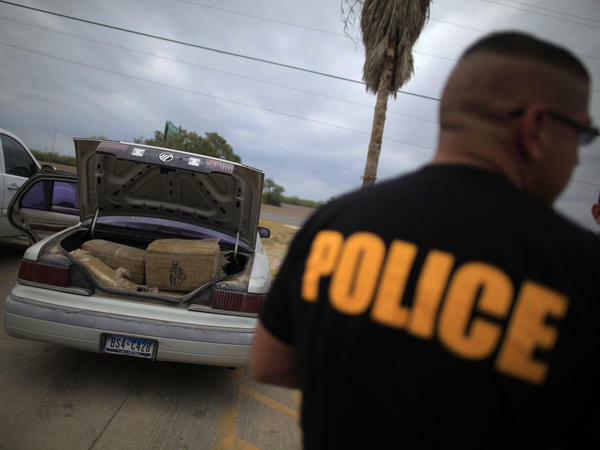 Chris Cabrera, a Border Patrol union representative in the Rio Grande Valley, says traffickers caught with dozens of pounds of pot are routinely released, and they learn to exploit this loophole. CHRIS CABRERA: That's a shame, when drug smugglers can walk free. Yeah, granted, they lose their load. But they're able to make it up the next day or the day after and find a different route. And they adapt to our inability to do our job. BURNETT: Meanwhile, back at the Hudspeth County Jail, it's just not as exciting now that the tour busses are gone and there are no more famous mugshots. WILLIE NELSON: (Singing) Roll me up and smoke me when I die. And if anyone don't like it, just look them in the eye. BURNETT: John Burnett, NPR News, Sierra Blanca, Texas. Transcript provided by NPR, Copyright NPR. 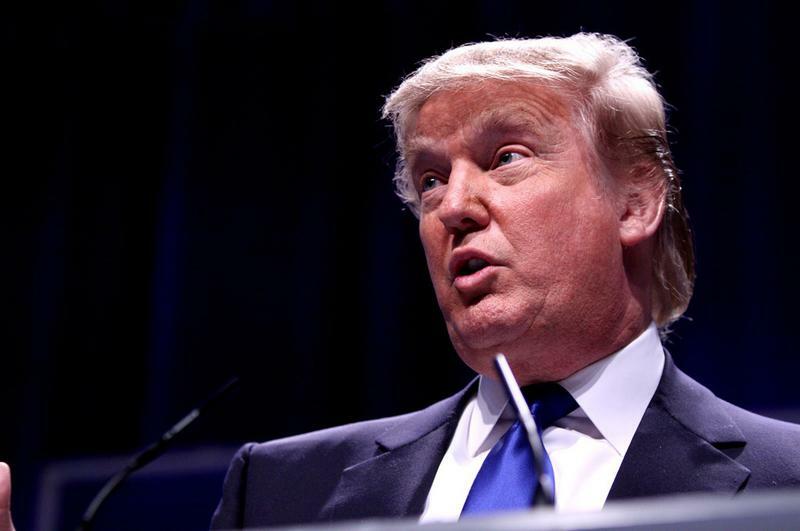 Republican presidential candidate Donald Trump is still coming to Texas on Thursday, his campaign said, even though a Border Patrol union here backed out of hosting him. Five stories that have North Texas talking: the Susan Hawk DA fallout continues; Fort Worth clears out a homeless camp; the Texas music bucket list; and more. The state-funded buildup of law enforcement at the Texas border will continue into next year, as officials Monday approved another $86 million to keep the operation afloat.